If one thing is clear, is that Fortnite is one of the world’s most popular games right now, having singlehandedly turned battle royale into a cultural phenomenon. While the game is free to play, Epic (the people behind the game) have made a ton of cash via microtransactions, selling in-game items and outfits to players, many of which simply can’t get enough of this online multiplayer game. The game has hit a multitude of platforms since it debuted in September 2017, and while many of the millions enjoying the game each month do so on consoles, it’s clear a sizeable portion of the game’s players are getting their fix on PC. And for these players, technology powerhouse Nvidia (the people behind the GeForce cards) is now offering the GeForce Fortnite Bundle. 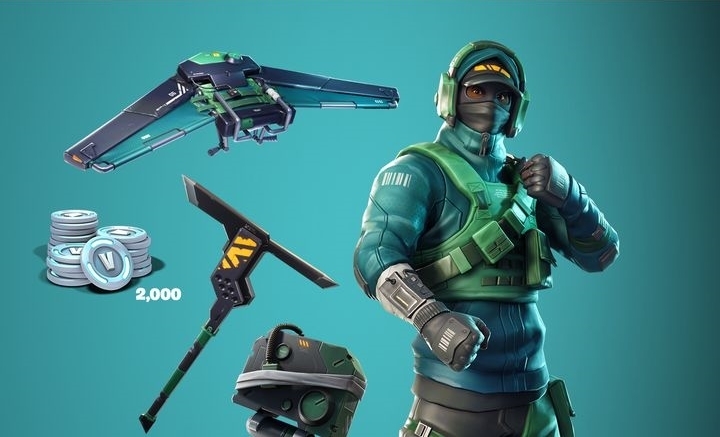 This bundle includes the following: 2,000 V-Bucks, one rare outfit (“Reflex” Outfit), one uncommon item (the “Angular Axe” Pickaxe), one rare glider (the “Pivot” Glider) and the “Response Unit” Back Bling (see image above). How to get this Fortnite bundle, I hear you say? In order to get hold of these in-game items (which could cost you quite a bit if cash if you bought them all in-game) all you’ve got to do is buy one of the following Nvidia graphics cards: the GeForce GTX 1070 Ti, GeForce GTX 1070 or GeForce GTX 1060. You can do so on Nvidia’s website here or from one of several qualifying vendors listed on the company’s website. You will receive a coupon code once you get the right card, be mindful of the instructions here before attempting to redeem yours though. Of course, if you were already looking to buy a graphics card this Christmas and are a Fortnite fan, this will be a godsend. In any other case, it’s always wise not to grab a piece of hardware just because of any specific offer (unless you’re getting a juicy discount too). Also, video card prices are starting to come down now that last year’s Bitcoin craze has died down, so you might yet want to wait a little longer to get hold of a more powerful card at a lower price. If the time is right for you though, and Fortnite is your thing, you might certainly want to take advantage of this offer before it expires on January 29 next year.